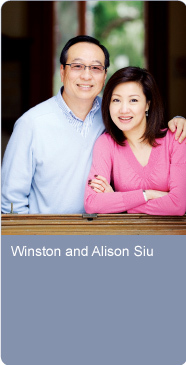 g2g is set up by Winston and Alison Siu, who truly believe that mediation can bring harmony into our world. When mediation first entered into Winston and Alison’s lives, they immediately realized the benefits of applying mediation skills to enrich their own relationships as well as their relationships with others. The more they practiced, the firmer their commitments to this worthy cause. Winston and Alison are dedicated in helping reconnect people, rebuild communications, clarify misunderstands and enhance relationships through g2g. g2g’s mission is to help enhance the performance of companies and people as well as the relationships between people from good to great. Its services are applicable to group to group, gender to gender and generation to generation.